At Blue Billywig, we realise the importance of your video content and we strive to deliver a customisable video player that provides your users with the best possible online experience across all devices. 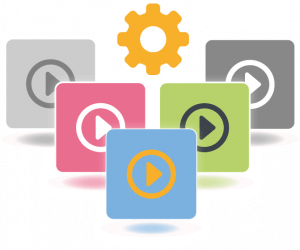 Simply upload your video in our Online Video Platform and let the player do the rest. As a publisher of video, it’s essential that you can deliver content fast across all device types, from desktop, to tablet, to mobile and even across connected tv’s. 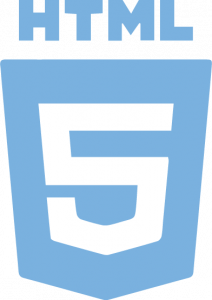 The Blue Billywig player supports both Flash and HTML5 so that your content plays seamlessly regardless of how the user chooses to access it. An increasing number of users access content online from their mobile devices. Internet quality can vary greatly for these users which could cause interruptions to their viewing experience. Thanks to HTTP Adaptive Streaming, the Blue Billywig player ensures that viewers are always offered the most optimal audio and visual experience. From a passive viewer to an active user. 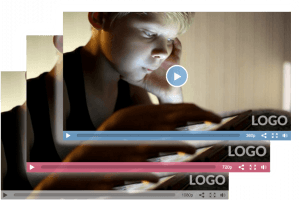 The Blue Billywig player allows you to add interaction to your videos, which can be used in multiple ways and in particular if you want a user to take immediate action. 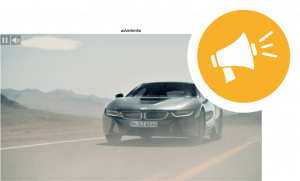 Clickable elements, PDF downloads, video-in-video and input forms can all be added to steer the video experience. Also, and unique to the Blue Billywig player, is the ability to play these interactive videos inline on the iPhone. Do you have an app that you offer to users? At Blue Billywig, we understand the importance of providing app users with the same dynamic experience as your web users. Therefore, we’ve built our video player to provide full functionality within app environments and can provide Software Development Kits (SDK’s) for both Android and iOS. The Blue Billywig player supports publishers in maximising their video advertising revenues. The player integrates seamlessly with all VAST and VPAID supported ad servers and advertising technologies. We also provide a unique, multi-stage environment making it possible to connect multiple advertising systems to the player. Additionally, the player itself can be used to create outstream ad formats across all content types. Read more about our advertising solutions here. 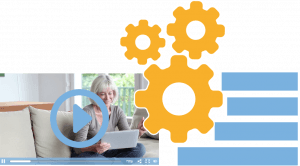 Ensure your video content is accessible to all users. 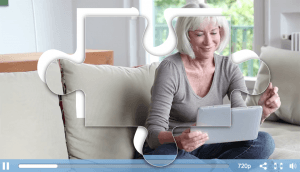 The Blue Billywig player enables you to provide a descriptive audio track for the visually impaired and a detailed subtitle option for those who are hard of hearing.